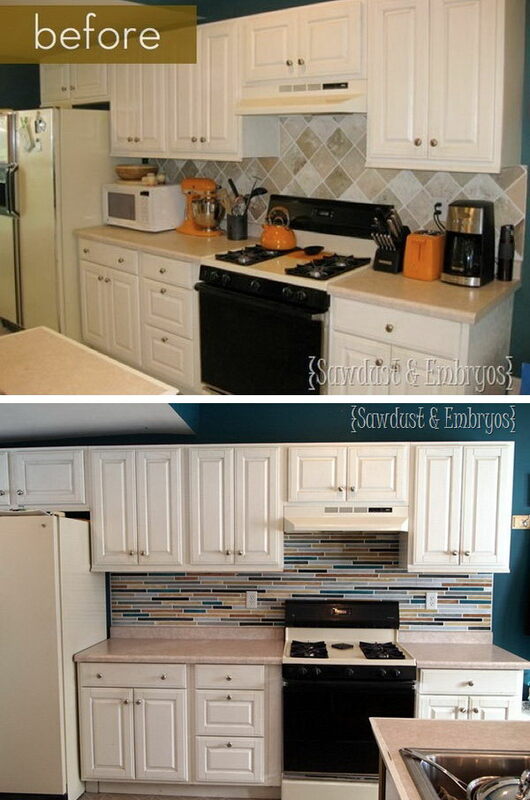 The inexpensive kitchen make over ideas include changing a different color palette scheme, replacing cabinet facing, changing cabinet look by painting new colors, adding kitchen table, brightening walls and ceilings, lightening up, updating flooring, renewing appliances, changing countertops, and using new hardware. 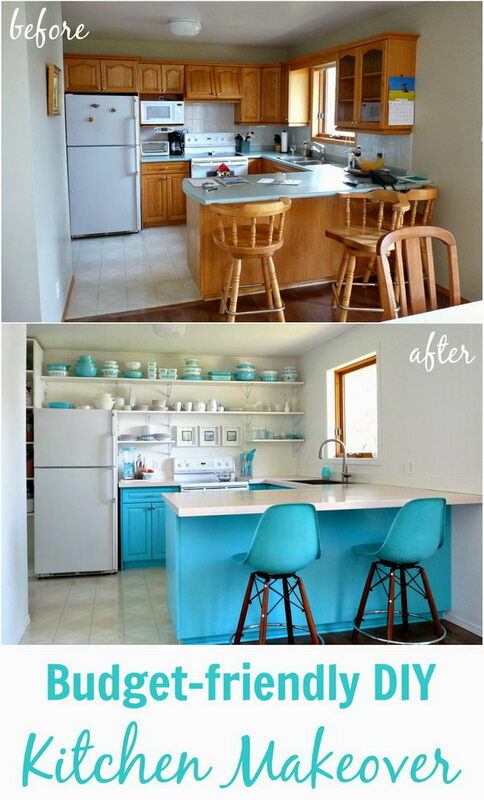 So let’s head over to see these more than 25 Before and After Kitchen makeover ideas I rounded up in this post. 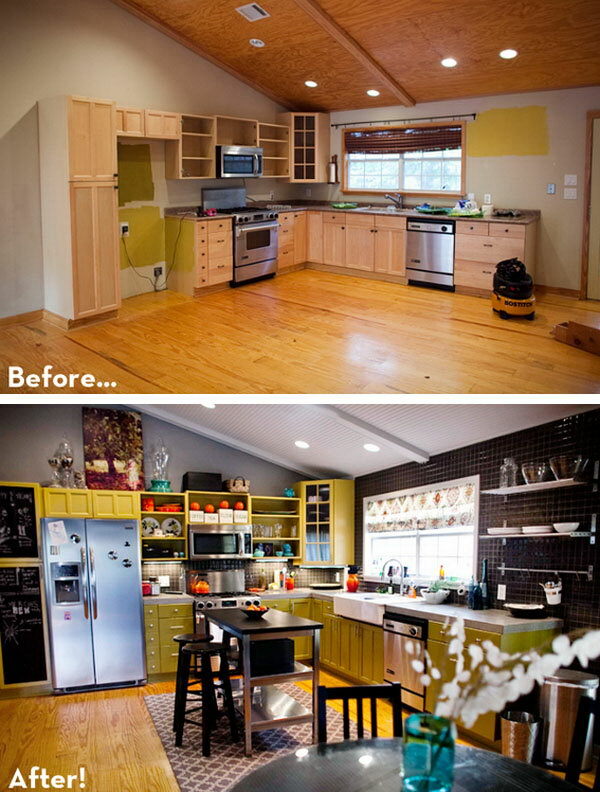 And check out how to upgrade and transform an outdated kitchen to give it a really new modern looking. 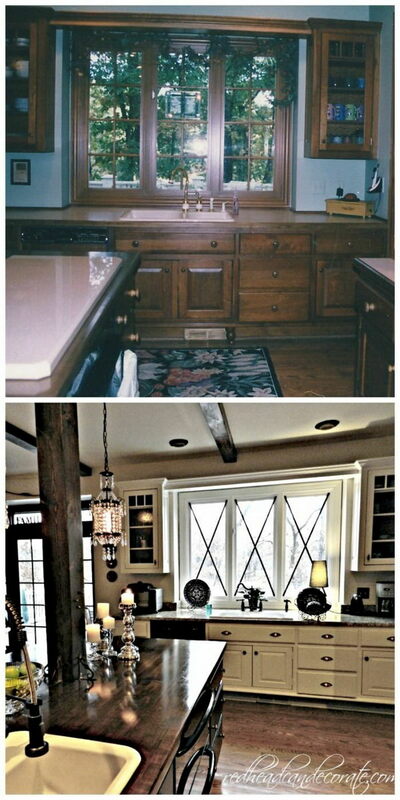 Before & after ideas are great. 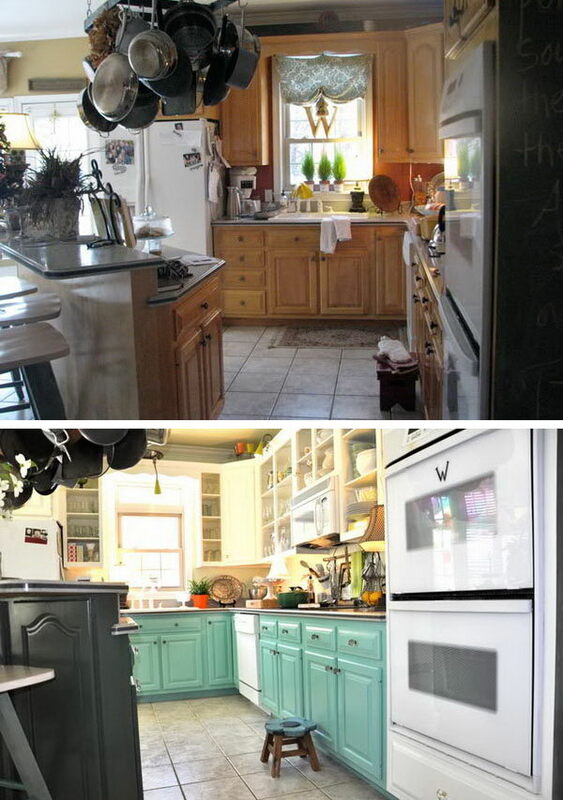 The kitchen makeovers are beautiful. You’ve given your viewers some really great ideas. Thanks so much. 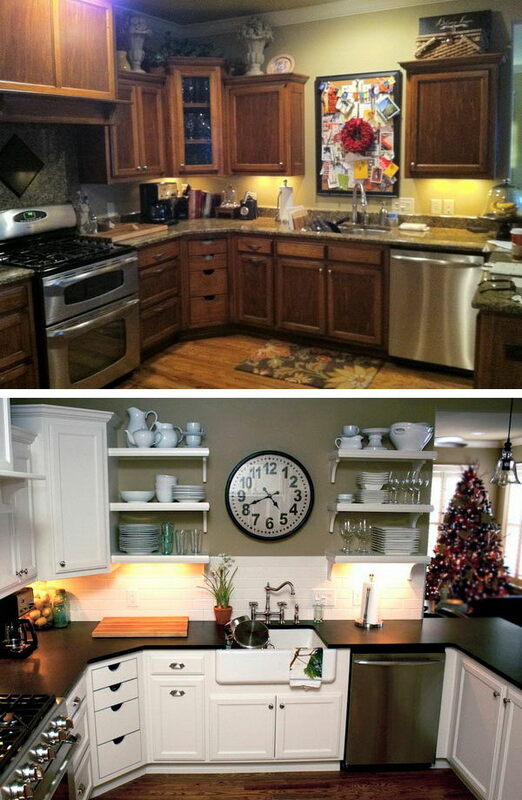 great, i’m searching some ideas for my kitchen, thank you. I love your page design. 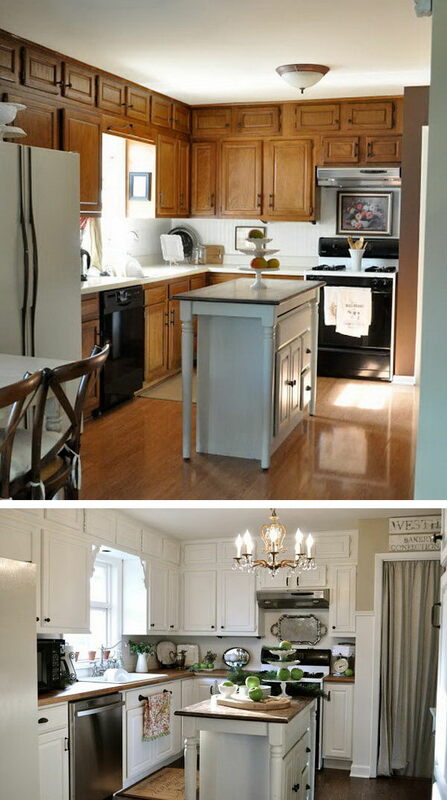 It was so user friendly and very informative with a variety of options to fit anyone’s budget. Best feature… I was able to enjoy your page at my leisure with no interruptions from irradiating ad breaks that requires a response from me to continue but still has offers on the side bar if I am interested in their product. 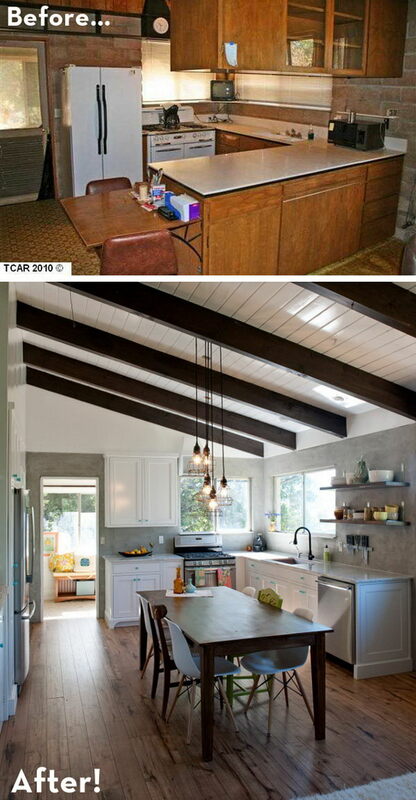 Thanks for the beautiful kitchen designs! How lovely… its amazing how beautiful the whites look…. yes it makes the place look fresh…. 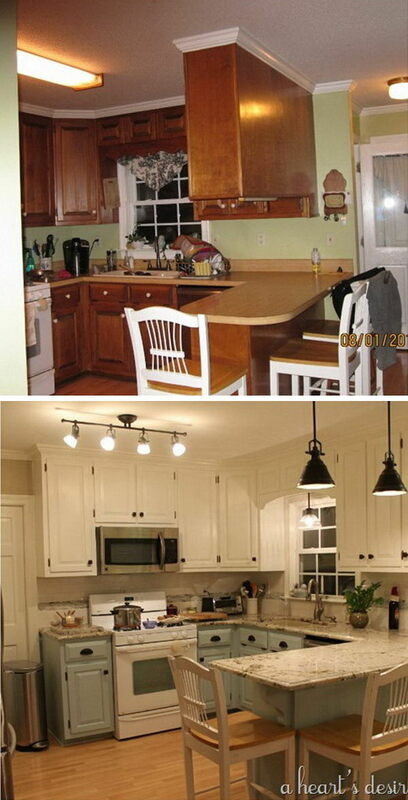 my home is new but made the mistake of going for an aged old colour.. but thanks to you we can do something about it. 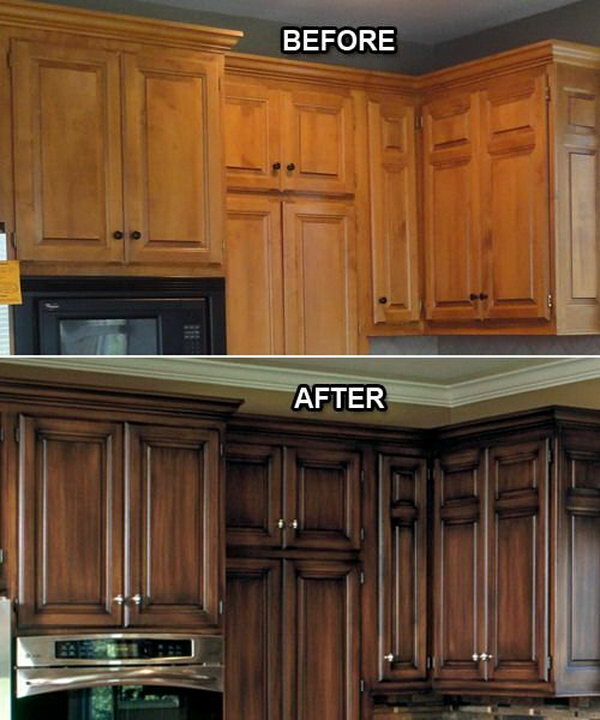 its not too late..I would like to know the company and its details to do painting of my kitchen cabinets… ect.. that information will be great..so I could call and fix it.